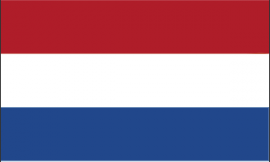 Funding Options, the UK online business finance marketplace, is launching in the Netherlands in partnership with ING to help Dutch businesses find funding. Funding Options helps small businesses source alternative funding from £1,000 up to £10 million. The partnership means that this service is now available internationally for the first time. The duo is targeting the 1.8 million SMEs in the Netherlands. Businesses who are not eligible for an ING finance product will be referred to Funding Options to see if alternative funding can be found for them from a panel of lenders. If a business is not an ING customer, the pair say any Dutch small businesses can go to the ING website and use Funding Options’ free service. For context, this partnership was announced back in June, when ING announced it was working with Funding Options. Just a few months after, in September, ING invested £5 million in Funding Options.